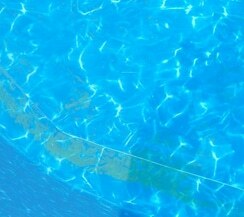 If you want to extend the life of the vinyl liners for your swimming pool, you will need proper water balance. Even the best pool liners can wrinkle, stain, become discolored or shrink regardless of additives and coatings used to protect it from sunlight, temperature changes and chemically treated water. This is due to unbalanced and poorly treated water. 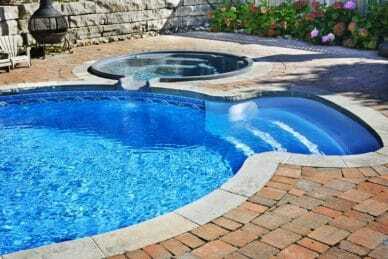 Errors in pool maintenance is the common cause for these types of damage. We’d like to give you some advice to help you extend the life of your vinyl swimming pool liners. Below, we will list the common problems and possible fixes. 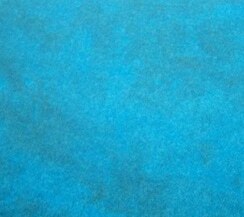 When vinyl absorbs water, it expands, and wrinkles can occur, regardless of proper fit. It is thought that high levels of chlorine or bromine can be the cause of this extra water absorption. To keep these levels from becoming or staying abnormally high, and damaging the vinyl liner, the water chemistry must be properly maintained. In order to prevent your liner from having unnecessary wrinkles or stretching, it is important not to let your chlorine levels remain higher than 3ppm or your bromine levels higher than 4ppm for any extended period of time. Keep in mind that even though 5ppm – 10ppm levels are required for shocking your pool, you need to let the levels dissipate naturally to the 2-3ppm range to prevent problems with the vinyl liner. At the same time, the PH levels affect the chlorine & bromine effectiveness. 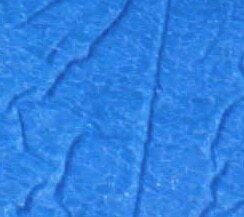 A vinyl pool liner can wrinkle, stretch, loose strength and discolor if the PH level is below 7.0, while scaling and staining can occur if the PH level is over 7.6. So, it is important to keep your PH levels balanced as well. When adding chemical to your pool, be sure there is proper circulation of the water. A liner can become bleached if chlorine is added to the deep end and not allowed to circulate for several hours before you close the pool up. You may also experience spot bleaching at the bottom of your pool if you do not pre-dissolve sanitizers in pool water before adding them to the pool through a sieve. This is caused by undissolved particles of slowly dissolving sanitizers such as calcium hypochlorite. Hydrochloric acid, which is used to balance PH or alkalinity levels, can also cause damage to your vinyl liner if you use large single doses. The printed pattern on the liner can be damaged by the acid if not blended well in the pool water. To prevent damage when closing your pool for the season, you should have professionals install a tightly sealed winter cover around the perimeter of the pool. Throughout winter, his will keep out the leaves and bugs that can cause bleaching, staining and fungus stains due to their organic content. 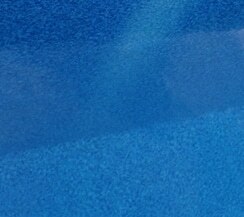 While some pool liner colors are resistant to bleaching (white, light blue, dark blue, turquoise and grey), medium blue liners can bleach or lose color if concentrations of trichloroisocyanurate stabilized chlorine are too high. You don’t have much time to correct this, as it can happen in as little as 6 hours. While you can use some chlorine solutions for several hours to bleach out stains without harming your pool, do not mix them with other chemicals shortly after adding them to your pool. And to prevent bleaching of blue liners, do not allow dichloroisocyanurate, calcium hypochlorite and sodium hypochlorite (liquid chlorine) solutions to remain higher than the recommended 5-10ppm when shocking for long periods. Vinyl liners can become bleached if you combine chemicals at high concentrations, so please try to avoid this and use them as directed. There are several sources of sticky substances, often referred to as “pool goo” or “pool tar” that can adhere to and coat portions of your vinyl pool liner. They can be caused by algaecides with quaternary ammonium compound and organic material such as leaves, grass, insects, etc. It can also be caused by chlorine interacting with quats, forming the sticky material. This happens when the chlorine and algaecide levels exceed their recommended levels. The gummy material can result when quats come into contact with high chlorine levels in automatic chlorinators, which gets fed into the pool and eventually builds up on the liner. The goo from the chlorinator can also form when organic materials from cosmetics or tanning lotions are oxidized by high chlorine concentrations. This is usually a beige waxy substance. You may also experience a light coating of vinyl plasticizer material, which may rise to the surface of newly installed liners during early winterization. It is clear until it is contaminated with dirt, when it turns dark. It is likely caused by a lack of circulation. It tends to re-absorb in 2 or 3 weeks if the water is warmed up, circulated and shocked with chlorine every couple of days. This usually only occurs the first time the pool is re-opened after being winterized.